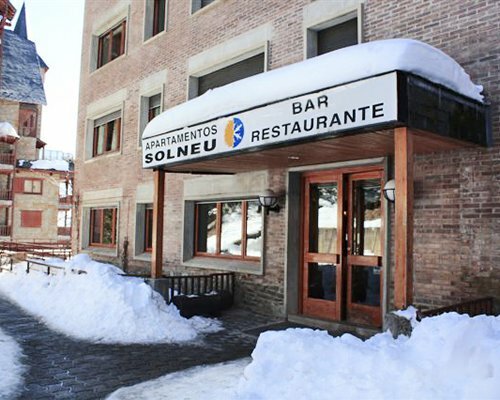 Keen skiers will love Sol Neu, located at the foot of the pistes and under 50m from downhill and cross-country skiing at Baqueira Beret. 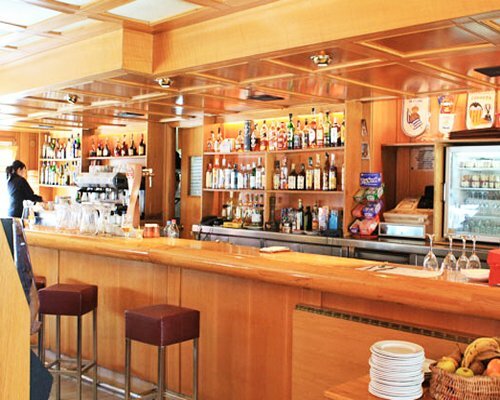 After a day on the slopes, the resort has a restaurant and bar with sun terrace for après-ski drinks. 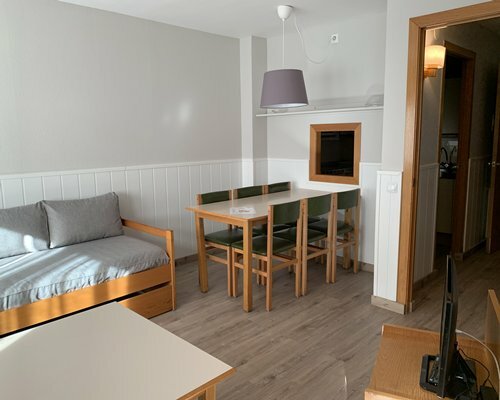 The one-bedroom apartments will sleep up to five people and the partial kitchens are ideal for preparing light bites and breakfast. Ski storage is available. 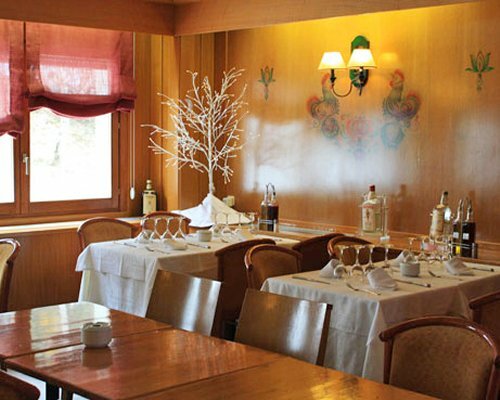 Please note that the 24-hour reception, restaurant and bar are only open during the winter season. 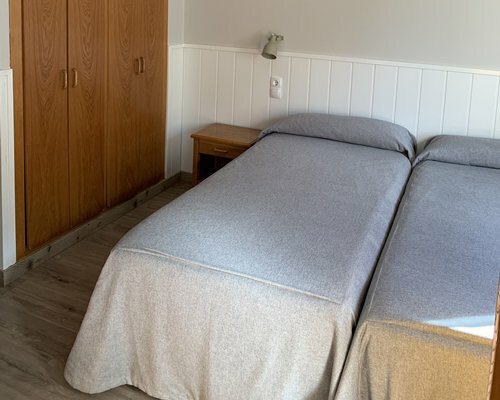 Apartments consist of a main bedroom separated from the living room by sliding doors, with satellite TV, fully equipped kitchen with 2-ring stove and microwave/oven, spacious hall with small bunk bed over a cupboard and sofa beds to accommodate 2 more in the living room area. 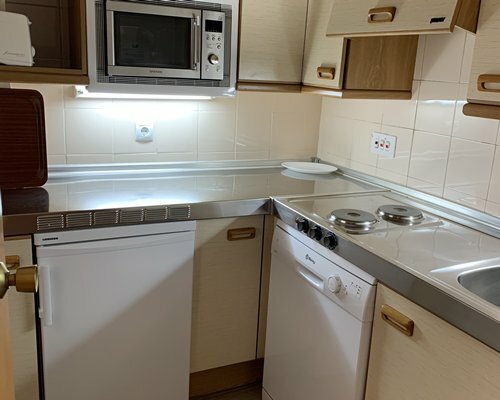 These apartments provide lots of space and boast great views. 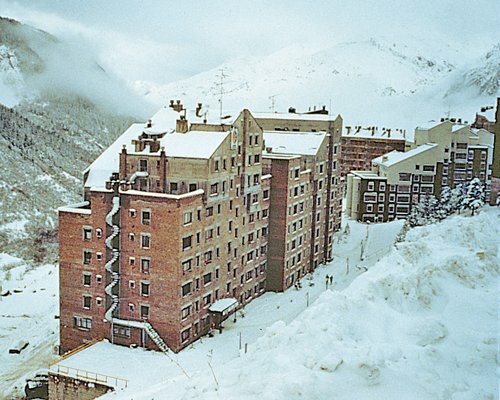 At 4,500 feet in the Pyrennes lies the excellent ski centre of Baqueira. The skiing suits all abilities from beginners on gentle nursery slopes to experts on demanding black runs from the summit at 7,500 feet. There are 69 runs served by 33 lifts and an over 4-mile cross-country trail at nearby Orri. Summer activities include fishing, hunting, rafting, climbing and hiking. A new cable car is only about 200 yards from the resort. BY AIR: Nearest Airports, Barcelona 330km/ Toulouse 166kms. BY ROAD: From Barcelona take the A7/AP7 towards Lerida, continue to highway A2 and take exit 6 to Lerida. Follow signs to N-230 to Vielha-Val de Aran. On reaching Vielha at the first roundabout turn right signposted Salard?. 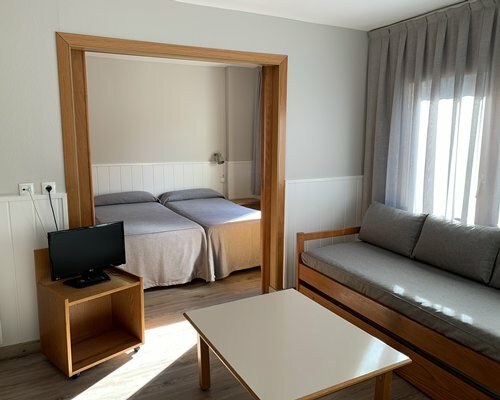 After 14 kms you will reach Baqueira. On entering Baqueira pass the roundabout and take the first turn on the right. Follow the road until the end and you will find Sol Neu on your left. FROM TOLOUSE: Take the highway Tolouse-St. Gaudens. Then follow signs to St. Beat, Fos and Val de Aran. Once in Val de Aran, follow signs to Baqueira. The resort is then signposted.